I have been using coconut oil for years to remove my daily eye make-up and I loved it, but I was never really happy with my whole skin care regime in general. I have been looking for the perfect method for my skin type, which is dry to normal, and there are myriads of answers out there. However, wanting to stay as natural as possible without the use of harsh chemicals or unpronounceable lists of ingredients really limits the options! I kept coming across the "oil cleansing method" also known as OCM. After reading the comments and testimonies of those who have been using it, I thought I would give it a try. That was a little over a week ago, and so far I am loving it! There are several types of oil that can be used, but since I have an abundance of olive oil in the house, and it is recommended for all skin types, that is what I am using. The other important oil in the equation is castor oil. Seems that castor oil is the most effective at cleansing and dissolving the ickies on your face and is highly antibacterial to boot. It can also be very drying. So depending on your own skin type, you can figure out how much of the castor oil is really needed in the "formula" you create. 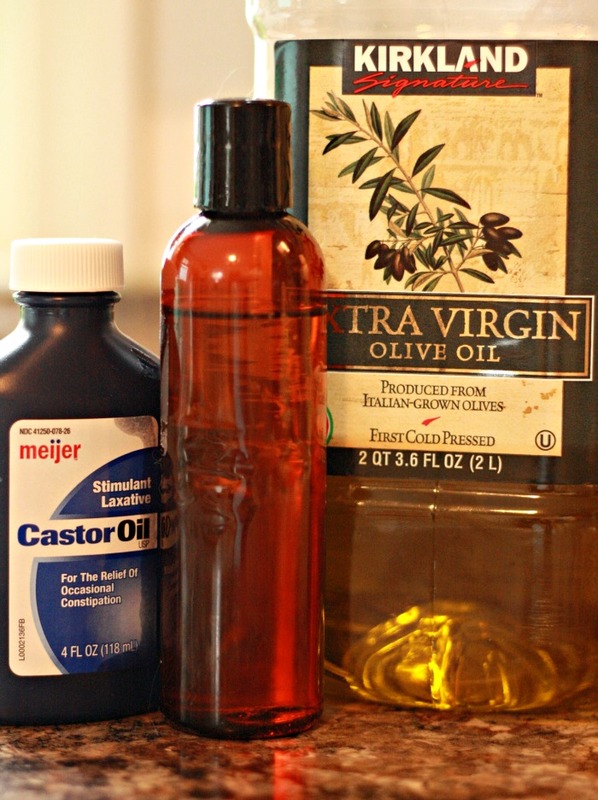 Since my skin is especially dry in the winter, I went with 1/4 castor oil, to 3/4 olive oil. So far it seems to be just about right. perhaps just enough for a weeks worth of nightly washings. I can then adjust the amounts as I see how my skin reacts. If, after I am finished with my oil cleansing, my skin seems a teensy bit dry, I simply take a couple of drops of my same oil formula, and apply to my dry spots, being careful to rub in gently. Right now, my skin is soft as a baby's bum.....for real. From the looks of the comments on Crunchy Betty's blog post (604 comments thus far! ), it seems that the OCM is not for everyone. and I betcha 90% of those who tried it loved it. EVEN those with some serious acne issues. What skin care regime do you use? If not, then maybe you'd like to give the OCM a try! ps....coconut oil, oddly enough, is not recommended, as it can be very drying...weird, right? That's interesting! I have never heard of it. I use a non-soap facial cleaner, but I've never read the ingredients. My skin was getting way too dry in the shower this winter, so I switched to an olive oil soap for general cleaning and it took care of the "itches." You know it is the oil used though-out centuries for beauty. I do use it and almond oil for my extremely dry lags and it soothes and calms the skin. Better than commercial lotions. Ohh, this sounds good, I have to try it. I like the idea you can adjust the recipe. My skin is much dryer In winter and it drives me bonkers changing/finding the correct thing for summer that won't leave my skin feeling oily or greeeeeeezy! You know what I mean LOL Thanks! Oh gosh. beautiful routine, what's that exactly? if I wash my face and remember to put on lotion...any lotion...I'm ahead of myself. when I open a new packet of butter, I use the wrapper on my face and hands. If it was good enough for MFK Fisher, it's good enough for me -grin-.